Living in Perth has its perks - the bars, the beaches and of course, the sunny weather. However, nothing quite screams WA more than sitting by a beach or pool enjoying a cold one on a warm afternoon. But what if you could enjoy this experience in the comfort of your own home? 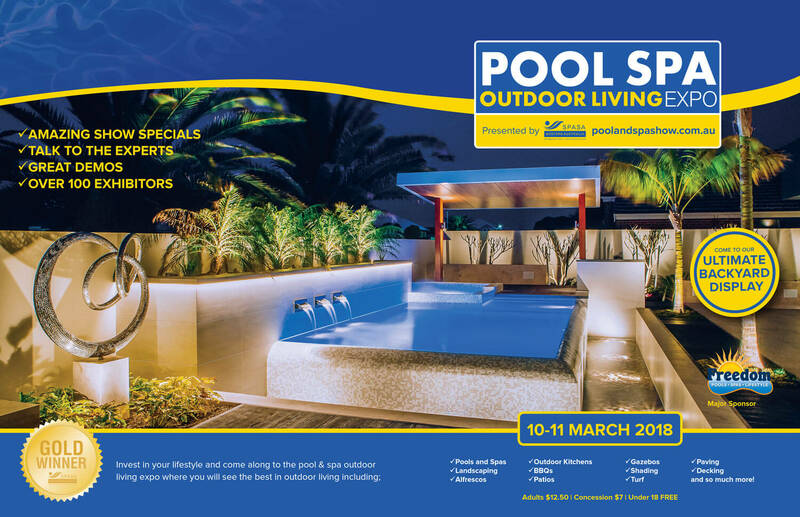 Perth homeowners and families will have the opportunity to make that dream backyard into a reality when Perth’s largest swimming pool, spa and outdoor living expo takes over the Claremont Showgrounds this March 10th and 11th. The SPASA WA Pool Spa & Outdoor Living Expo will include over 100 exhibitors showcasing their latest range of spas, pools and outdoor living designs. Whether you’re adding some modern touches to an old pool or looking to design a brand new outdoor living space for your family home, the expo will give you the chance to browse some of the latest and greatest trends in outdoor living whilst getting some top advice from experts in the industry. In the expo’s biggest event yet, SPASA WA and major sponsors Freedom Pools will be showcasing ‘the ultimate backyard’ - a multi-zoned design of dreams featuring timber decking, outdoor sofas, televisions, barbeques and a fire pit (BYO marshmallows). Yes, we’re talking the ultimate alfresco entertainment area where you can kick off your boots, relax, crack a cold one and watch the footy with the boys. Designed by Landscapes WA, this is a design set to give Perth homeowners major backyard envy. During the two-day event, attendees will also have the chance to get their hands on more than $10,000 of prizes, including an outdoor spa from Just Spas, a BBQ from Barbeques Galore, a pool blanket box from Oz West Fencing & Gates, and an immaculate Infresco outdoor kitchen from Outdoor Alfresco Kitchens! To enjoy a day of deals, demos and pristine prizes from the best in WA’s outdoor living industry, head down to the Claremont Showgrounds on March 10th and 11th. Tickets are $12.50 for adults, $7.00 for concession holders, and children or teenagers under the age of 18 enter free of charge.